I Ate at a Virtual Reality Restaurant and ... It's the Future? 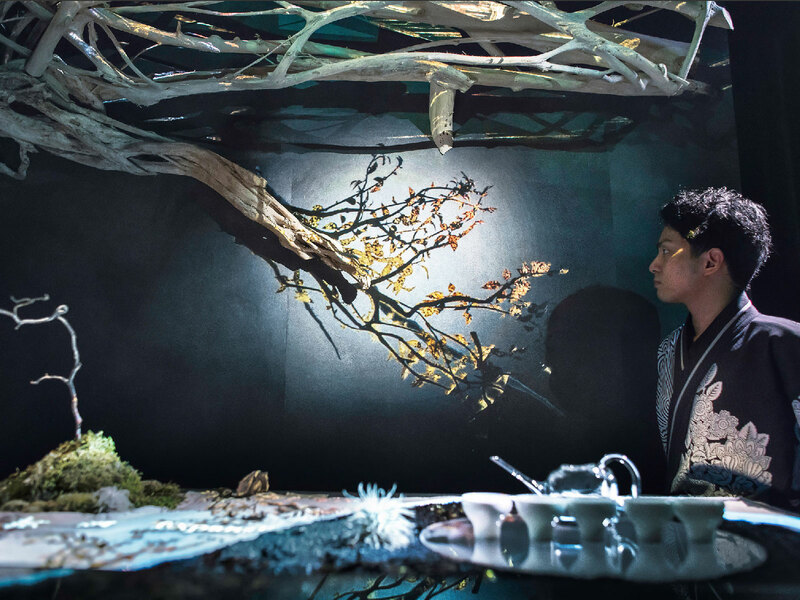 Tokyo's Tree by Naked is one of the most unique dining experience in the world. Aside from using and abusing the failed portable gaming console Virtual Boy in 1995, I've never been excited by virtual reality and its many promises. My reality is vivid, and grotesque, enough—why would I seek out extra reality? 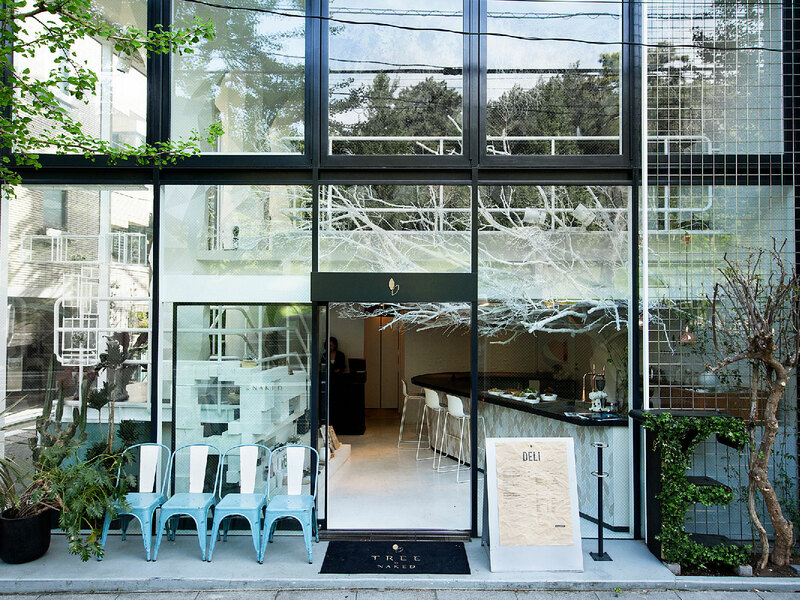 But when I visited Tokyo in October, a city known for its exceptional, wildly diverse dining (and the most Michelin stars of any city in the world), I put one restaurant on the top of my to-eat list that I suspected would pull me out of my comfort zone: Tree by Naked yoyogi park, the new virtual reality dining concept from artist Ryotaro Muramatsu. 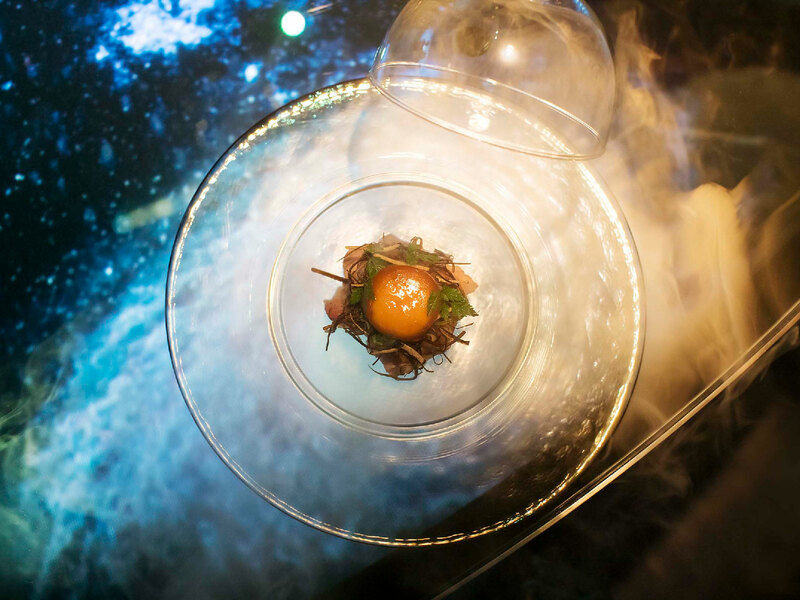 Increasingly, artists and chefs alike are experimenting with melding multi-sensory story-telling elements into the experience of dining. 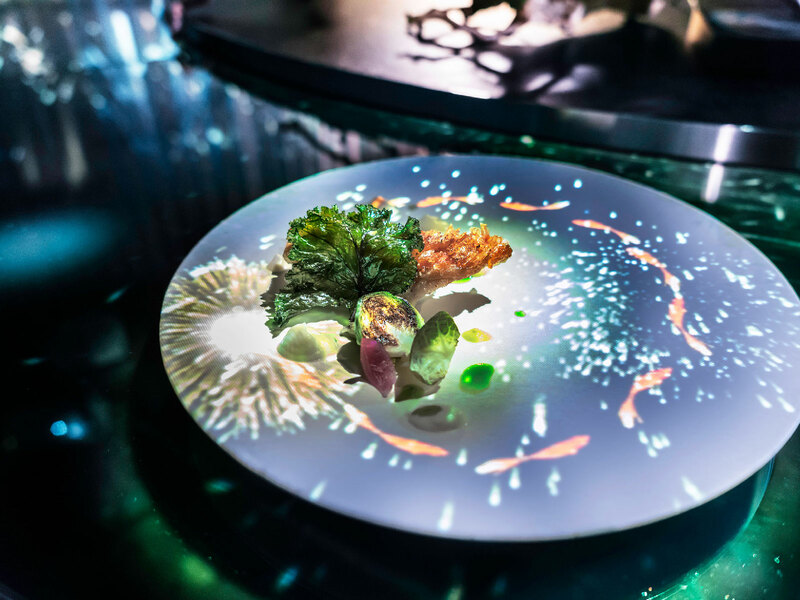 Ibiza's Sublimotion, for example, is essentially a molecular gastronomy opera—and one of the most expensive restaurants in the world at over $3,000 a head. Upon entering, you may suspect you've happened upon a standard trendy restaurant, perched on the edge of Tokyo's charming Yoyogi Park. But once you're led downstairs (the upper level acts as a chic café during the day), darkness engulfs you, only to be abruptly disrupted by stunning, intricate shows of light that tell a story of birth and rebirth and love and life and loss and humanity and everything, as illustrated by the four seasons. 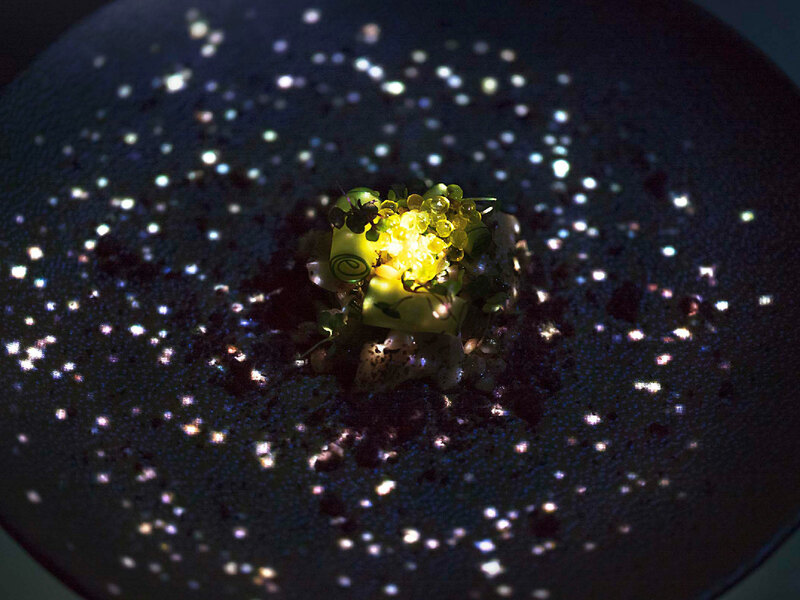 There are two, eight-person seatings a night at the communal table, on which the colorful magic is projected. Even more magical? There is no need or space for small talk, as the VR is so entrancing. As a perpetual solo diner, this pleased me. Within moments of the show—and it feels like a show—I could relax, which is an option not always available at super-cool restaurants. The intimate dinner is narrated by a server who has clearly had some sort of theatrical training, and it's divided into six chapters, each represented in a dish: “Birth," “Spur,” “Expansion,” “Phantasm,” “Unity,” and “Rebirth.” Tree branches, stars, and gusts of wind shoot across the walls and tables in synchronicity to illustrate the "journey of life," and each dish tells a specific story, aided by an orchestra of sound, light, smoke, and scents. For one course, you wear virtual reality headsets as the seats around you become occupied by farm animals dressed in dapper human clothes as they eat meals beside you. (Don't worry, they're not real!) Plants grow in front of you. Birds chirp. You watch the seasons change. The visuals are transporting, and frustratingly hard to capture on your phone. A few minutes into the dinner, you stop trying to capture anything on your phone, and that's beautiful. For another course, tiny, illuminated fish seem to swim across your plate, only to dissipate when you touch them with your finger, as though the plate were a pond. 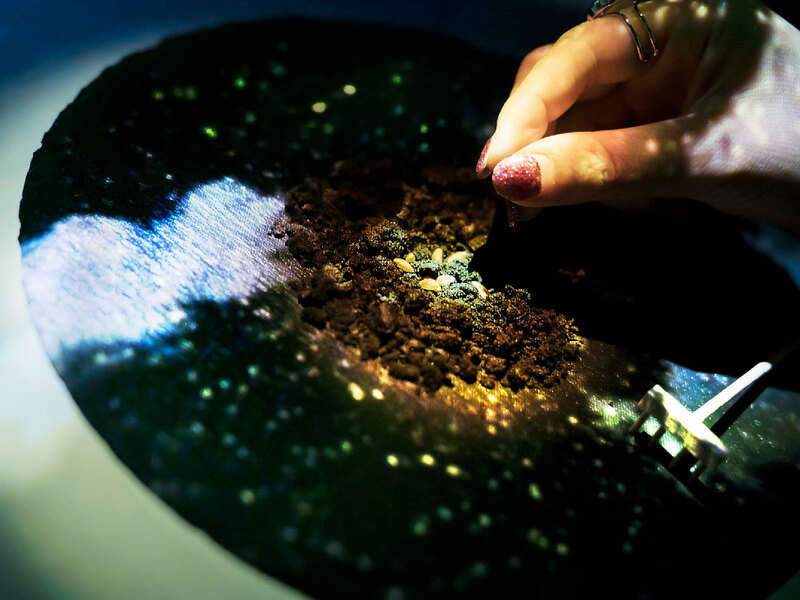 In fact, the experience calls into question the very idea of "plates," as they become canvases for projections that illustrate the changing of the seasons. Perhaps the most magical experience was "planting" seeds into a pile of "dirt," which was, of course, edible. The food is much better than it has to be, considering there's so much else going on. But no projection could distract me from perfectly seared wagyu beef perched atop local mushrooms. Dessert happens upstairs in the bright café, which seems quaint by comparison. After finishing off the delicate petit fours, you must brace for the real reality ahead.